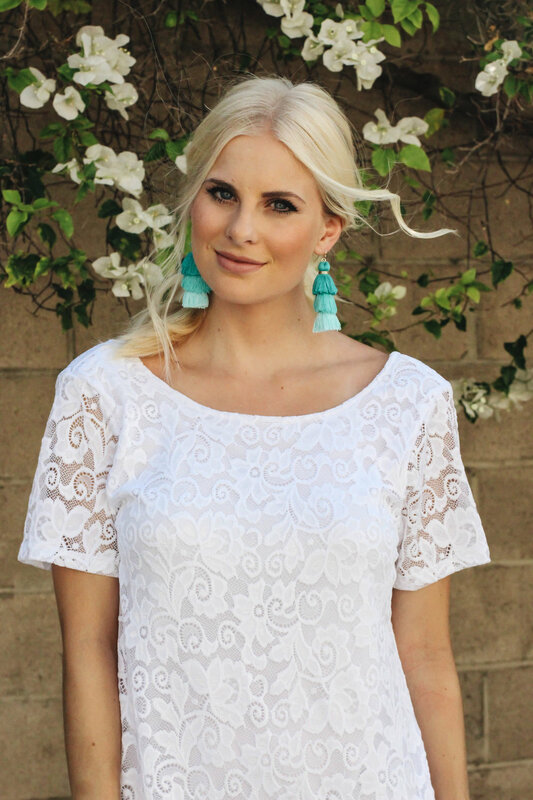 Today I'm sharing not one, but T W O feminine dresses from Impressions. Impressions is one of my favorite online boutiques to shop and I've been wearing their clothes for two years (this fall)!.... so yeah, you could say I'm a fan. They carry so many cute brands and both of the dresses in today's post are from Merritt Clothing Label. 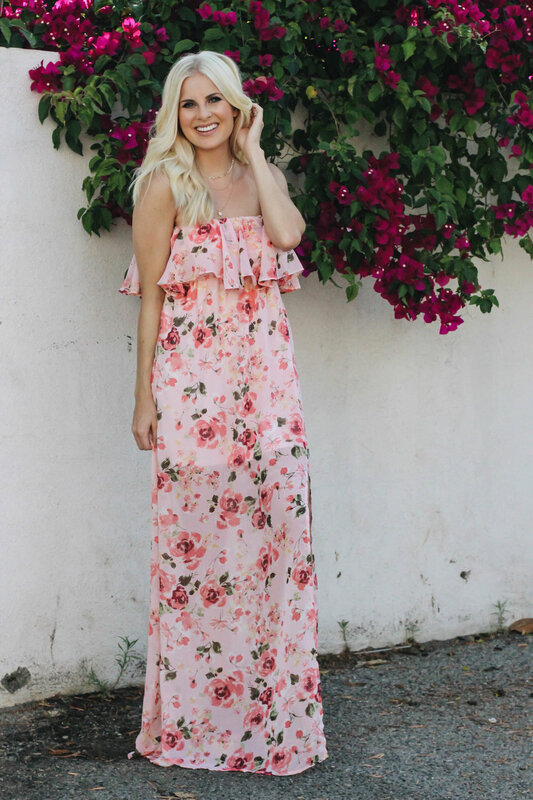 I'm loving this first dress for the gorgeous floral print and fun little leg slit. I don't typically wear strapless dresses so I like that this one is different from my typical style. This white dress is gorgeous and has a fun, low back. It's the perfect dress for brides, buttt since I'm not a bride, I kept this look playful with some bold earrings, and chunky heels. I've linked everything below AND both of these looks are on sale! Hope you loved these looks as much as I did!